As a mom who is busy working and running errands, I'm always grateful for an easy, delicious dinner that my whole family will love. Because I'm so busy, I try to use my slow cooker at least two times a week. The beauty of a slow cooker with a family of 3 is that I can make a large home cooked meal that will feed us for a couple of days. An added bonus is that it saves us quite a bit of money because we aren't eating out of takeout containers filled with over salted processed food. Since I do use the slow cooker so much, I'm always looking for different recipes. 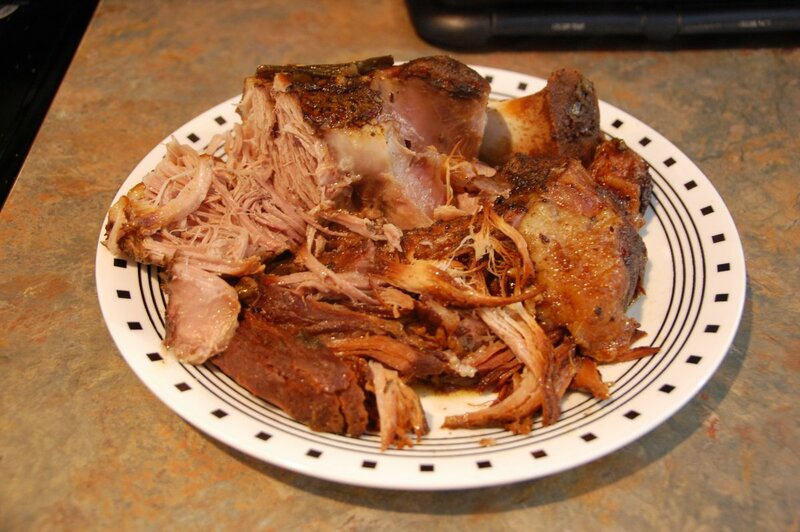 This one is a twist on a traditional pork barbecue and it is a nice change to the standard slow cooker meals I usually make. It's got a little Asian flair and makes the house smell delicious when it's cooking. Even better, it only takes about 15 minutes to put together and then about six hours to cook while I'm at work. I just serve it over rice, add some steamed vegetables, and we have a terrific meal. If you prefer to serve this dish with something other than rice, check out the serving suggestions at the end of the article. Enjoy! In a small bowl, whisk together all of the remaining ingredients until smooth. 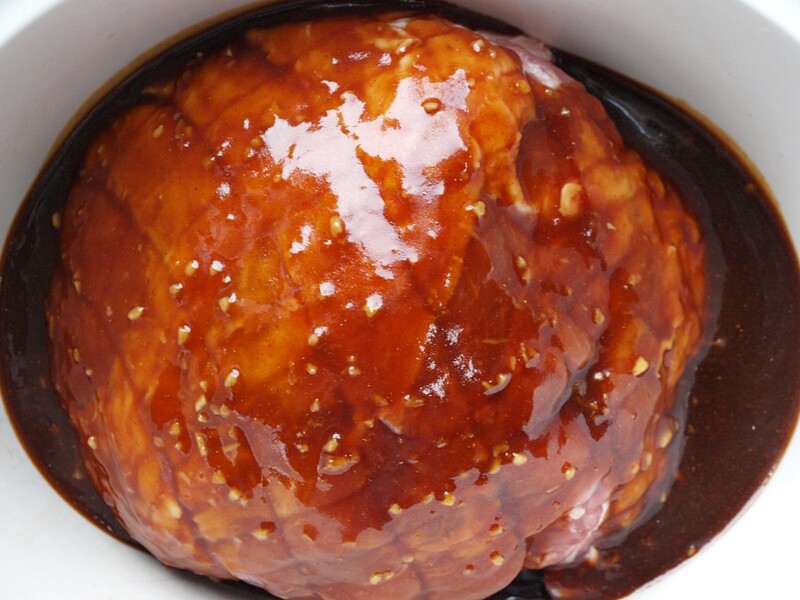 Pour sauce over pork. Cook on low for 6 to 8 hours. I usually check the pork after about 6 hours. If I can shred it easily, then it's done. 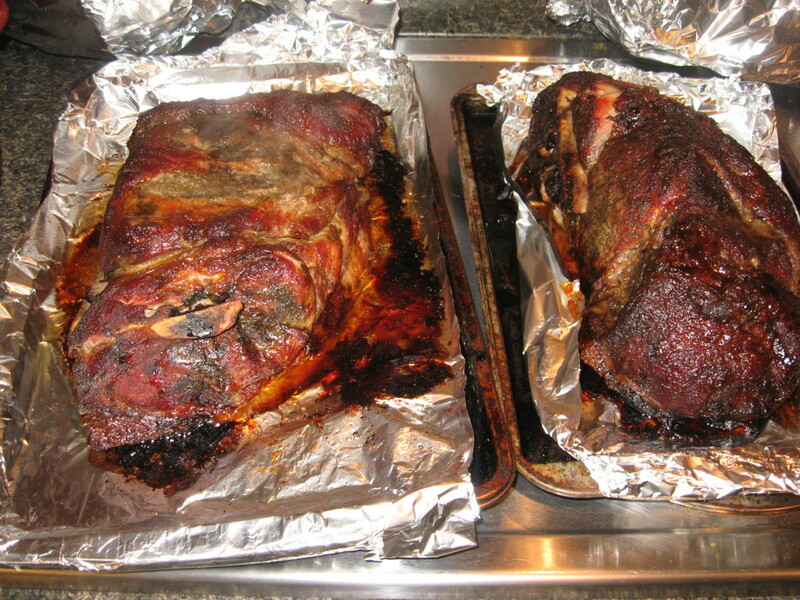 Pull the pork out and place on a large cutting board or plate. Use two forks to shred the meat. 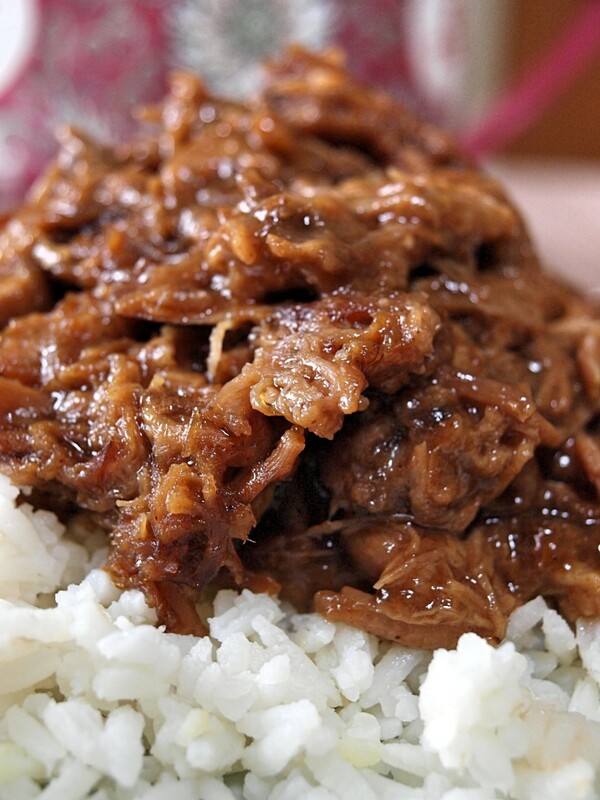 Place the shredded meat back in the slow cooker and mix with the sauce. 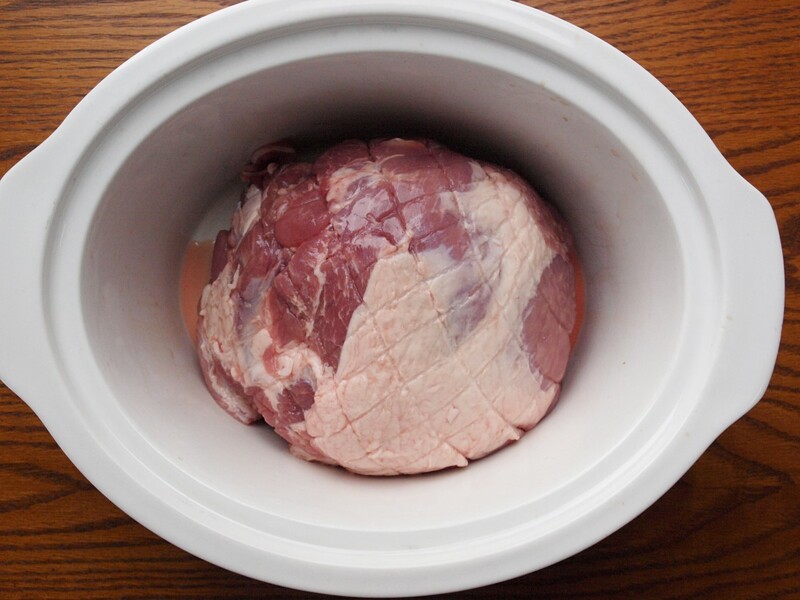 Step 1 - Place the pork into your slow cooker. I don't like it too fatty, so I trim some of the fat off. If you use a pork loin it will be much leaner but may get a little dry. Step 2 - Whisk all the remaining ingredients together until smooth. Step 3 - Pour sauce over the pork, cover and cook on the low setting for 6 - 8 hours. Once done, shred meat and mix together with sauce. Serve as desired. 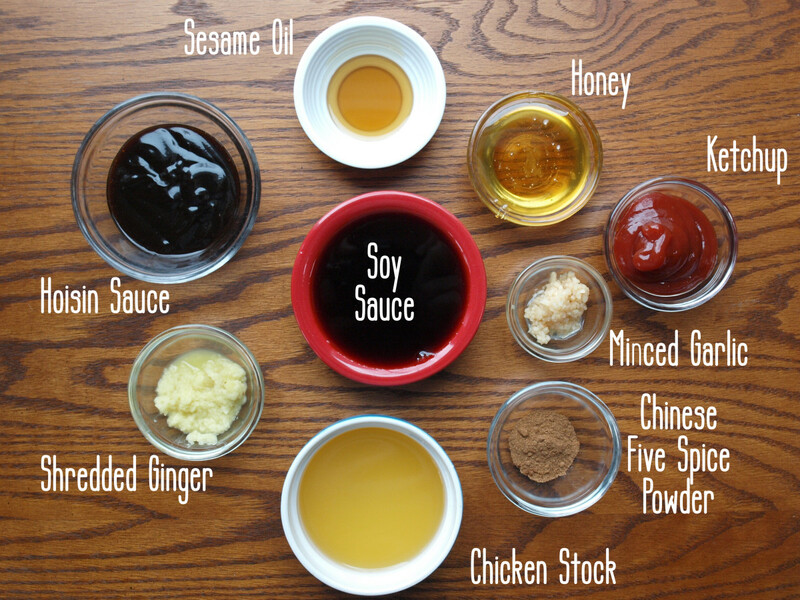 Chinese five spice powder is a blend of 5 spices used in many types of Asian cooking. It can be purchased already mixed, but, depending on where you live, can be hard to find. If you need to make your own, grind together the following ingredients until you have a fine powder. Use this spice sparingly. It's strong and a little goes a long way. If you are a visual person and want to see how the spice is made, check out the easy-to-follow video below. This recipe really is unique. It's got an almost smoky flavor which is offset by the sweet honey. I like it best served with rice and some steamed vegetables, but I bet it's good on rolls. It would be like an Asian barbecue sandwich. 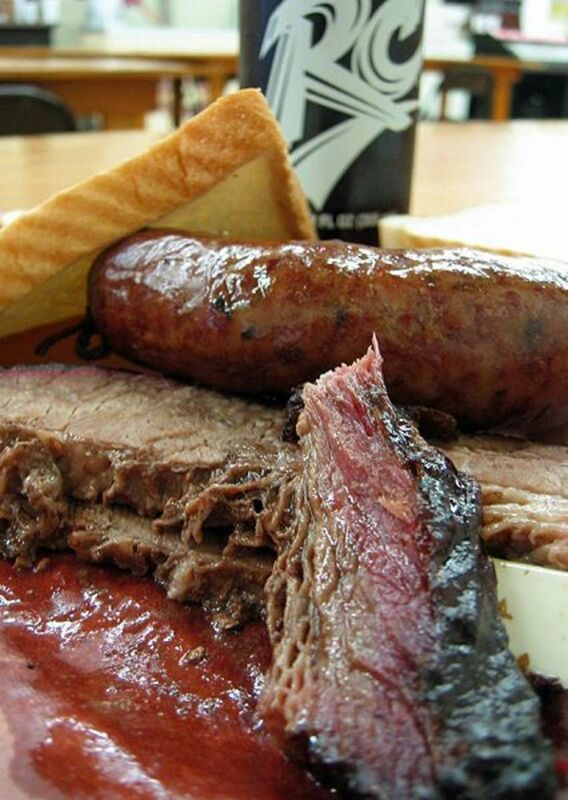 Just pair it with some fresh coleslaw for a twist on traditional barbecue. However you want to serve it, I hope you give this recipe a try. Your friends and family will thank you. Here are just a few other serving suggestions for this dish. Thanks FlourishAnyway. We just had this for dinner the other day and the best part was that we had lots of leftovers! Looks delicious and I'm always looking for good crockpot recipes. I haven't heard of the 5 spice so it was a great addition. Hi Jack - I like the idea of adding fish sauce. I'll have to give that a try next time I make this. I don't use fish sauce very often. I also agree that it's hard to go wrong with 5 spice powder. Thanks for reading and commenting. Thanks Bill, I appreciate it. Got any big trips planned? Thank you Kristen. I wonder if you could make this in a dutch oven or something like that? I just like the slow cooker for convenience. I appreciate your kind comments. It's hard to go wrong with five spice powder. It works with chicken, pork, soups and stir fries. Because chicken is so mild I often mix the chicken pieces with the five spice and let it sit for a couple of hours before stir frying with it. The only minor change I would do for the recipe is to drop a tablespoon of good quality Asian fish sauce into the liquid ingredients. It will give the pork a meatier flavor. Hi Glimmer. Congratulations on the HOTD. Well deserved. Glimmer, congrats on HOTD on Delishably! Though I don't have a slow cooker, this meal looks delicious to have for dinner. Great step-by-step directions with matching photos to make it look so easy and delectable to eat. Thanks Peggy W. I appreciate all of the support. Hope you get a chance to make the pork. Oh my! This looks and sounds delicious! Thanks for sharing your recipe with us. Pinning! Hi Kailua-KonaGirl - Glad you liked the recipe and thanks for the pins. I'm really liking 5 Spice powder right now and am trying to incorporate it more and more. Thanks for stopping by. Lovely! Haven't made this is years. Thanks for the reminder. I especially like the recipe to make your own 5-spice. I have pinned this to a couple of different boards. Thanks so much Islpio90 - I hope you give the recipe a try. Thanks Bill - My favorite thing about the crock pot is how easy it is to make a good meal. I also appreciate the kind comments about the photos. Enjoy your weekend. Hope you are planning a fun trip that I can read about soon! Hi Glimmer. Sure looks good. Great recipe and easy even for me. And the perfect photos to compliment the hub. Well done. Hi Sallybea - I love pork so I'm always trying to make new recipes with it. I think you'll enjoy this one. It really is different because of the 5 spice flavor. Thanks for reading and commenting. Thanks Rose! I'm glad you enjoyed it. I think food articles are my favorite ones to write because I get to eat the results! Have a great day! I agree with you Sgt Prepper - I don't always seem to add enough sweetener either and crock pots are the best. I'm pretty busy so I use it often during the week for meals. Hope you give this recipe a try and enjoy it. Thanks for reading. Hi Rebecca - I really like the flavor of the 5 spice so this is now one of my favorites. That spice just takes it to a different level. 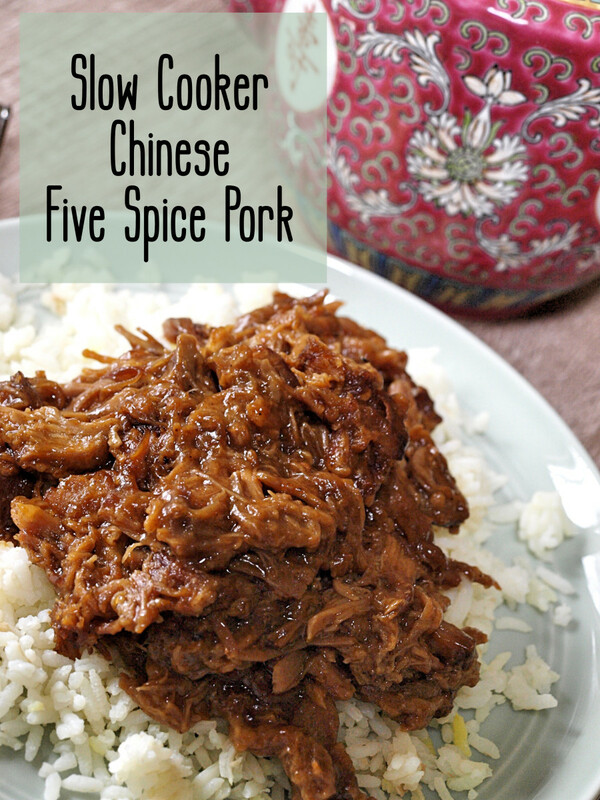 If you like Chinese 5 spice then you'll love this pork. Thanks for reading and commenting. This looks good, I think those spices will definitely add some interest to a piece of pork. I have one piece in the freezer which has been begging to be cooked for too long. I think I might try this. Glad this recipe made the 'spotlight'. Love the images too. Funny I should happen upon this delightful hub when I have a large crockpot full of pork that has been on over six hours. I never seem to add eough honey and other sweeteners. 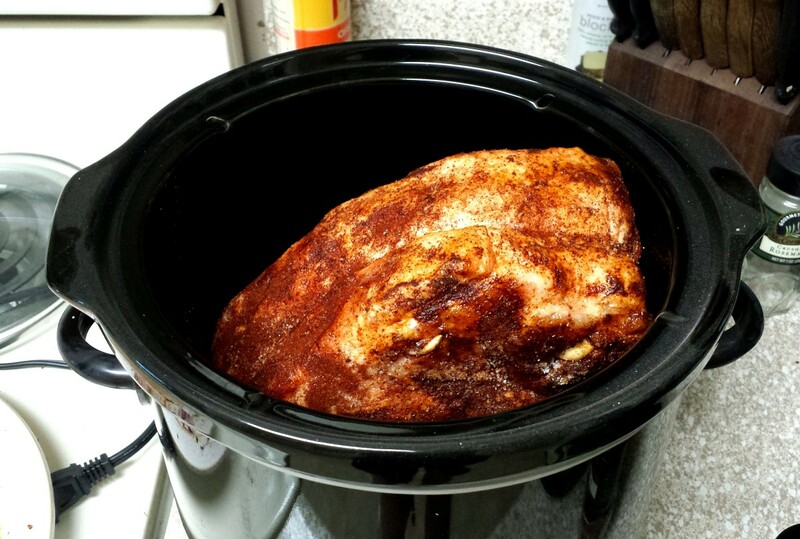 Crock pots rock for ham too. And chili turns out great. Thanks for the ideas. I never cooked Chinese in it before. Great article. I do hope you give it a try Deb. I really enjoyed this as did most of my family. I'm trying to think of other dishes to make with 5 spice powder as I'm really liking it. Thanks for reading! I appreciate it peachpurple. I hope you give the recipe a try and enjoy it. Have a great day. Thank you so much for linking to your hub. I've been trying more and more recipes with 5 spice powder and am really enjoying them. Thanks for reading and commenting. This sounds really good. Every once in a while, I get an urge for pork, so this is definitely something to try. The dish looks very inviting and I believe you were talking about the 5 spice in this dish. 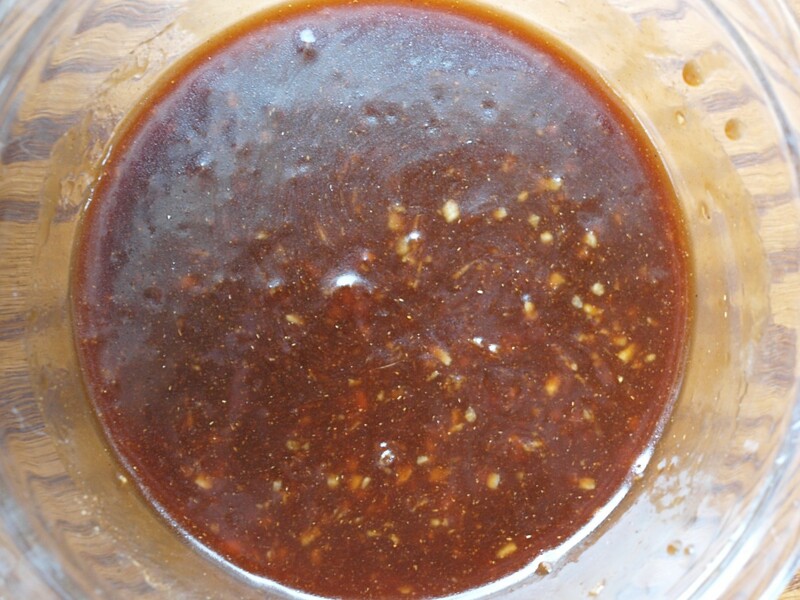 Wonderful and easy recipe and I'm going to link this recipe to my hub on five spice powder. Thanks for sharing this recipe Glimmer. Hi Robin - Glad you liked the recipe. I think it would be really good as a sandwich or a lettuce wrap for something lighter. It's the five spice powder that really makes it stand out. Thanks for reading and commenting! Carb Diva - Chicken would be the perfect substitute. The five spice powder is pretty strong so you don't get that pork flavor so you won't miss it. Glad you liked the recipe and appreciate the comments. Thanks Donna - I hope you enjoy it watching the big game! I live in the Pittsburgh area, but to tell the truth I'm a huge Cowboys fan. My husband always teases me that I shouldn't wear my jersey out of the house. They aren't in it this year either. Oh well, enjoy the recipe! Hi breakfastpop - Glad you liked the recipe! Thanks for stopping by. Thank you Jaya - I'm so happy that you will be trying out this recipe. I hope you enjoy it. This looks so yummy! I'm always looking for good slow cooker recipes. Definitely going to try this one. 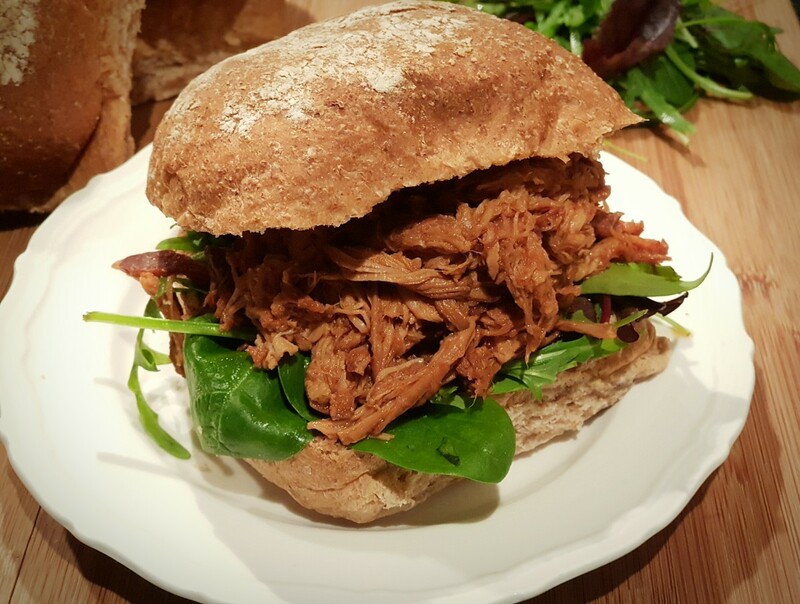 I like it as a twist to a pulled pork sandwich. I love the flavor of Chinese 5-spice powder. I think it is the star anise that makes it so unique. 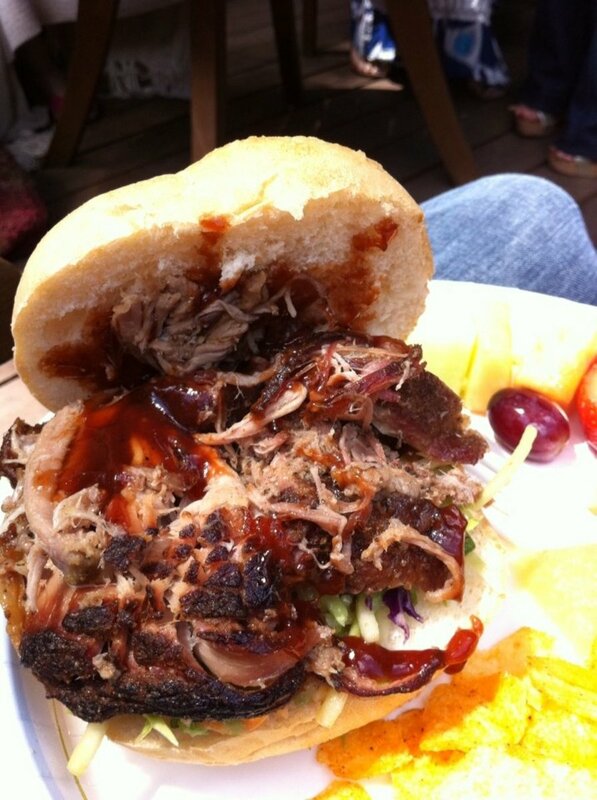 Your pulled pork looks amazing (and I wish I had some right now). However, my daughter does not eat pork--I'm going to assume that this same combination of sauces and spices could be used on chicken thighs?? Thanks for a great hub. You've inspired me. Wow, this sounds delicious! I haven't really used our slow cooker much, but this seems like the perfect recipe for it. 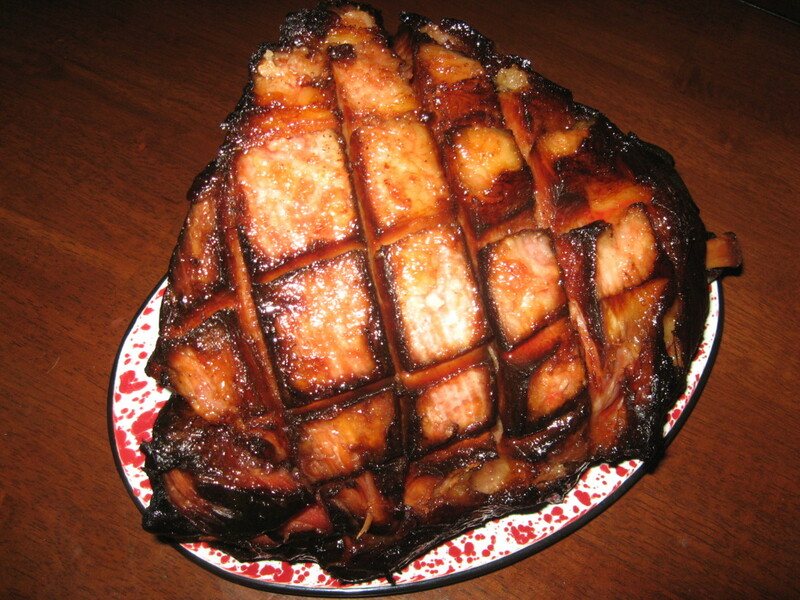 My husband and I love BBQ and this recipe sounds like a great new way to try pork. Thanks for sharing! I think I know what I'll be making on Super Bowl Sunday. Too bad the Steelers won't be there! Thank you for this recipe and thank you for providing the ingredients and concoction of the Chinese Five Spice Powder! It is particularly helpful! I will try this recipe for sure! I hope you are at the market getting the ingredients so you can whip this recipe up tomorrow Bill! Thanks for checking out the recipe and let me know how you like it. Thanks Susan! I appreciate all of the support. I hope you like the recipe. I am SO hungry! Can't wait to try this recipe. It looks and sounds awesome! Pinned and yum'd!